She’s BAAAAACCCCKKKKKK! You know I love Alison Faulkner of The Alison Show, and it’s been sooo long since she was last on the podcast. In fact you can’t even find it in the archives on iTunes anymore because they only let me list 100 episodes! But you can listen here on my website, if you go back to January 2016. Anywhoo, today I’m hitting Alison with some rapid fire questions about her life as of late, motherhood, guilty pleasures, current projects, and of course her new PODCAST! It’s going to be fun! Enjoy! 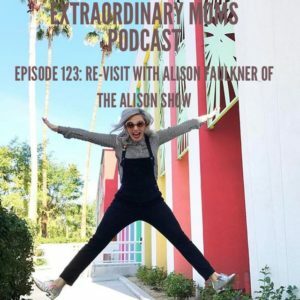 Check out her podcast: Awesome with Alison on iTunes. Here is the candy Alison is obsessed with!